We generally love to work with cedars. 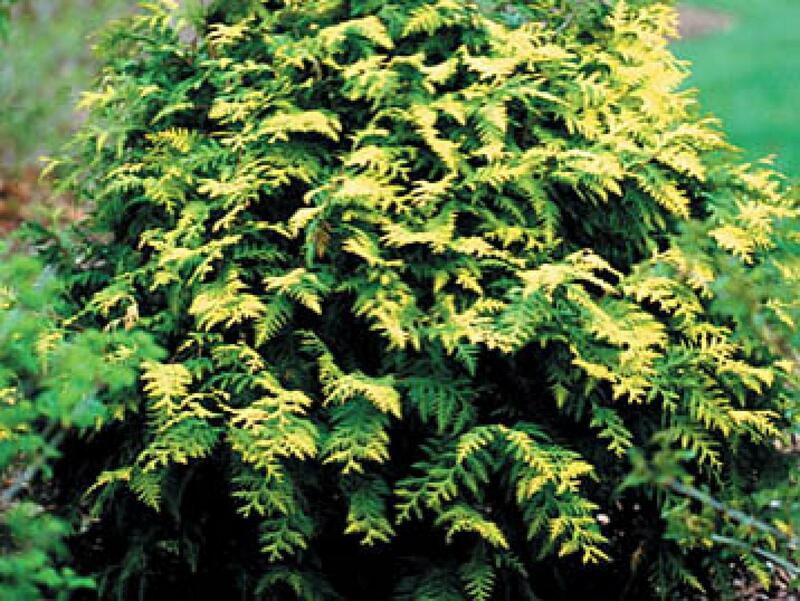 The evergreens in the 'Thuja' family are easy for homeowners to grow and they come in wide variety of shapes and sizes. These plants are are pretty drought tolerant and they can take our harsh Ontario winters. One of the newer varieties that has caught our eye is from the Proven Winners collection is 'Techny GoldTM' - with a nifty shape and showy gold toned foliage. Give this plant some room as it will get tall - over 4m at its mature height.